Keeping Students On-Track in English and Math, will be presented on Wednesday, March 29, 2017 at 1:30 p.m. EST. 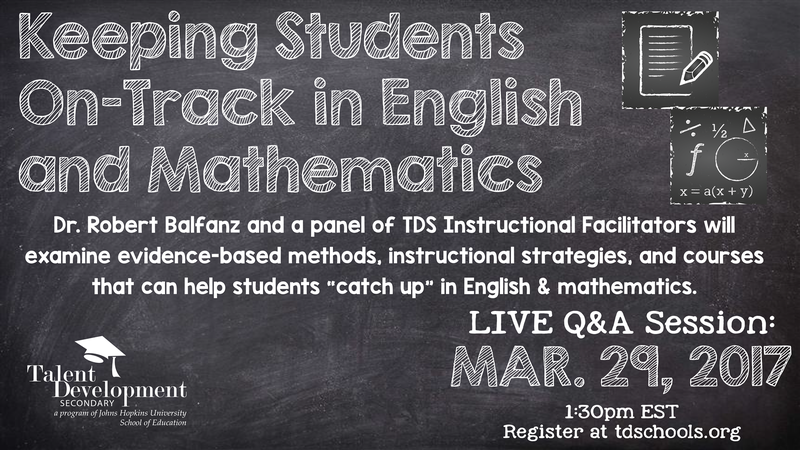 Dr. Robert Balfanz & a panel of TDS Instructional Facilitators will examine evidence-based methods, instructional practices, and courses that can help students “catch up” in English & mathematics in today’s educational climate. 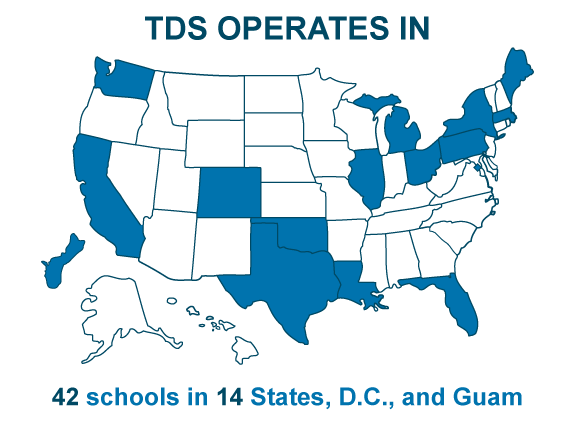 Complete the form below to be enrolled in the webinar.